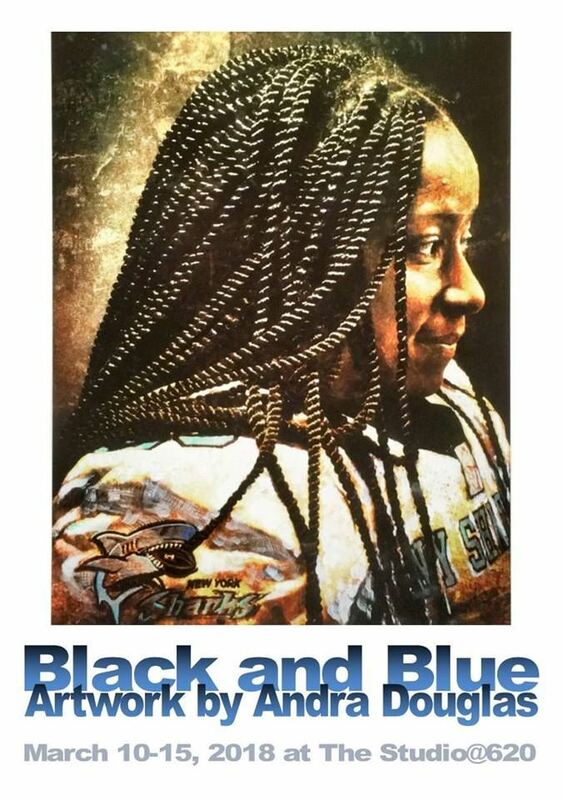 Join the Studio@620 for an artist's talk with Andra Douglas, creator of the exhibition "Black and Blue", former women's tackle football quarterback, and team owner of the New York Sharks! Get the inside story and learn more about the motivation behind the wonderful photographs on display. Moderated by Diane Bailey Morton, Executive Director of the Warehouse Arts District. Defined by the courageous spirit of the 100+ women’s tackle football teams throughout the world, and inspired by the diversity of the players, Andra offers this work as a tribute to the female football players of all leagues and ages fueled by the force of their convictions. Providing refuge from the brazen commercialism of the NFL, are poetic expressions, depicting the close-up emotions of the athletes and coaches whose often impenetrable eyes and inscrutable countenance give little away. Andra Douglas left Florida for NYC in the 1980’s to earn a Masters in Communications from Pratt Institute. She has lived in New York for over thirty years. Originally from Zephyrhills, a tranquil town in Central Florida, she attended Florida State University, playing Rugby, flag football and excelling at golf while majoring in communications design to hone her art and photographic skills. Next, Andra ventured into publishing at Cosmopolitan magazine, continuing to an executive position as VP Creative for WarnerVision Entertainment/Atlantic Records, after which she was an independent consultant for the entertainment industry with clients like Disney, Universal Records and BMG Music. In 2000, she acquired the NY Sharks, a women’s tackle football team, for which she also quarterbacked. Shortly afterwards, Andra established FINS UP, a foundation that strengthens young women’s self esteem through participation in team sports. Her first book, “Black and Blue” touches on her life experience as a non-conforming female growing up in a conservative rural environment, and the subsequent unfurling of her life as an empowered executive and pioneer for women in American football.